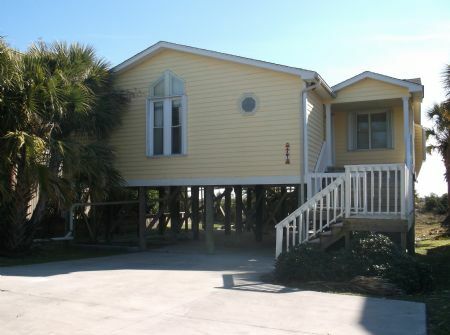 This a very cute 2 bedroom downstairs property with direct beach access. 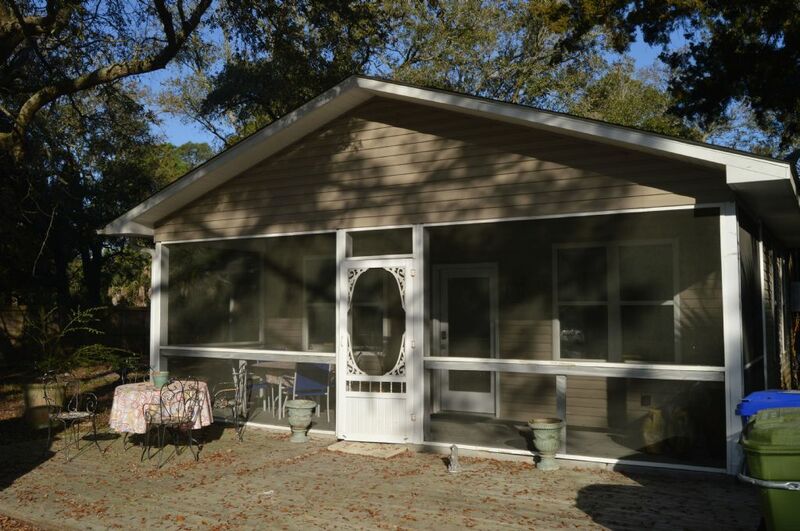 Large screened porch with porch furniture. 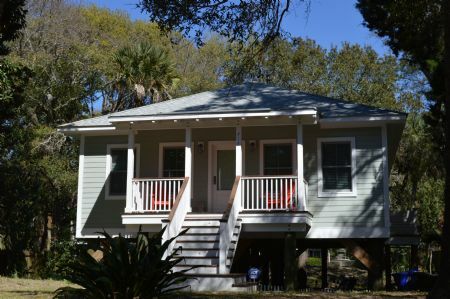 Very affordable house, just seconds away from the beach. 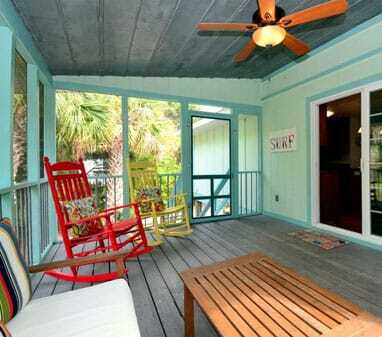 Decorated with bright beachy colors, this house is definately one to check out. ***Central Heat and Air means you stay cool in the summer and warm in the winter. Cable TV and a DVD for when you want to relax at home. *****This unit does not have a washer and dryer or a dishwasher, but where can you stay accross the street from the beach at this price!